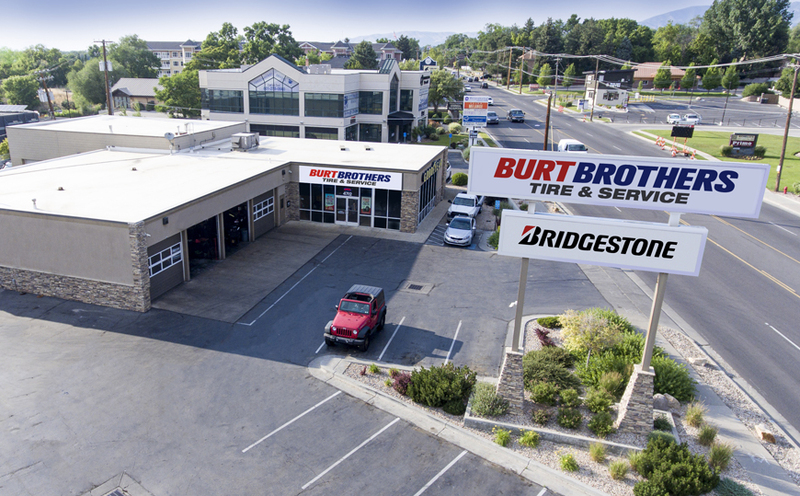 Burt Brothers Tire and Service provides quality tires, auto repair, and routine servicing to drivers in Salt Lake City, Utah. Our commitment to doing it better combines unbeatable prices, unparalleled customer service, and an unrivaled team of technicians and experts, giving you an unmatched experience. We are dedicated to remaining the premier one-stop destination for all auto repair and tire needs for the drivers of Salt Lake City. 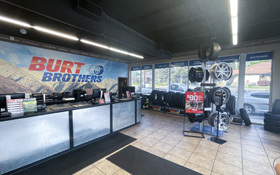 So stop by our Cottonwood location at 4712 S. Highland Dr. or schedule an appointment online and let us show you why our customers have trusted Burt Brothers Tire and Service in Cottonwood with the health of their vehicles and the safety of their families since 2008. Do winter tires really make a difference? Let's answer this question with a question. Do you wear your summer shoes or sandals out in the cold snow, ice and rain? Of course not. Same goes for your vehicle. Winter tires are designed with special compounds and materials specifically for cold, wet, ice and snowy conditions. In flat-ice tests at 10 miles per hour, cars stopped an average of 23' shorter than all-season tires and 30 plus feet shorter than summer tires. Click here to read more, and watch a video. What type of work does Burt Brother do? Burt Brothers has you covered from bumper-to-bumper. 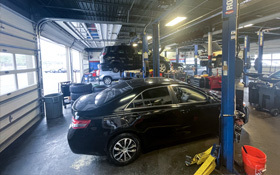 From tires and wheels to preventative maintenance and repair, we do it all. We are a one stop shop for all you automotive needs including: State inspections, glass repair, wear and tear maintenance, lifts, accessories and much more. Call us today or let us know what you need and we will do our best to get you taken care of. Click here for auto repair services that we provide. When do I need to replace my tires? Tread depths of less than 3/32" or tire treads that don't cover the top of President Lincoln's head on a penny. Other reasons to replace are poor handling or traction on slippery or wet surfaces. If your tires look worn to you, you should stop by any of our 11 tire stores and let us make sure you and your family are safe on the road.